Ally's children’s book uses a fun, futuristic storyline to teach money skills and concepts to kids ages 6-10. 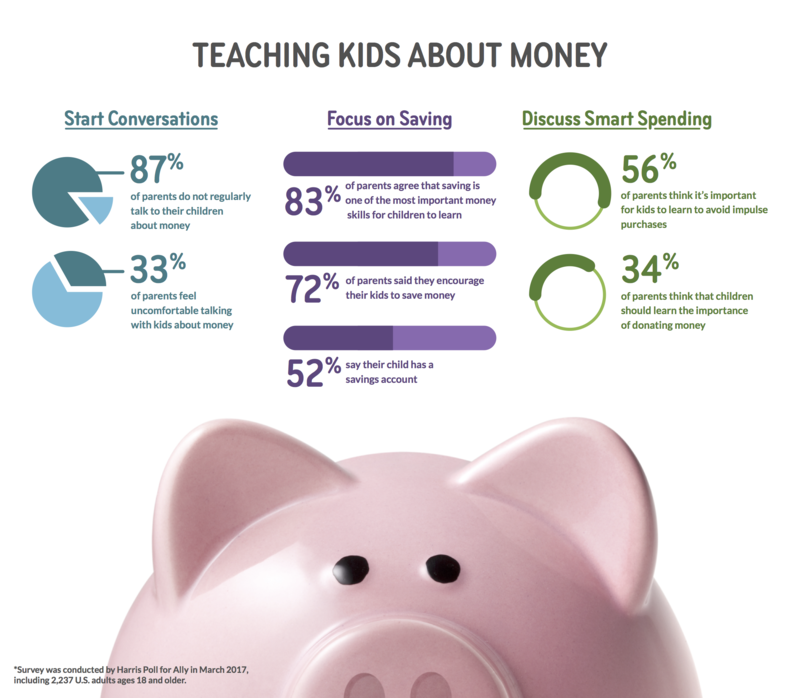 A recent survey conducted online by Harris Poll, on behalf of Ally, found families may need more tools and resources to help educate their kids about money. DETROIT, March 31, 2017 /3BL Media/ - In honor of Financial Literacy Month this April, Ally, a leading provider of digital financial services, has launched a new children’s book that uses a fun and futuristic storyline to teach money skills and concepts to kids ages 6-10. The book, called “Planet Zeee and the Money Tree,” is available for download beginning this month along with tips and resources to help parents talk to their kids about money. The new materials for families with children are an extension of Ally’s Wallet Wise program, which provides financial education courses and tools to help consumers of all ages better manage their money. Ally is taking a grassroots approach to introduce the book to families with children during Financial Literacy Month, mobilizing groups of employee volunteers and its network of auto dealer customers to read to kids. By helping organize local reading events at schools, libraries and businesses throughout the country, Ally plans to reach its goal of reading to 10,000 kids by the end of the month. 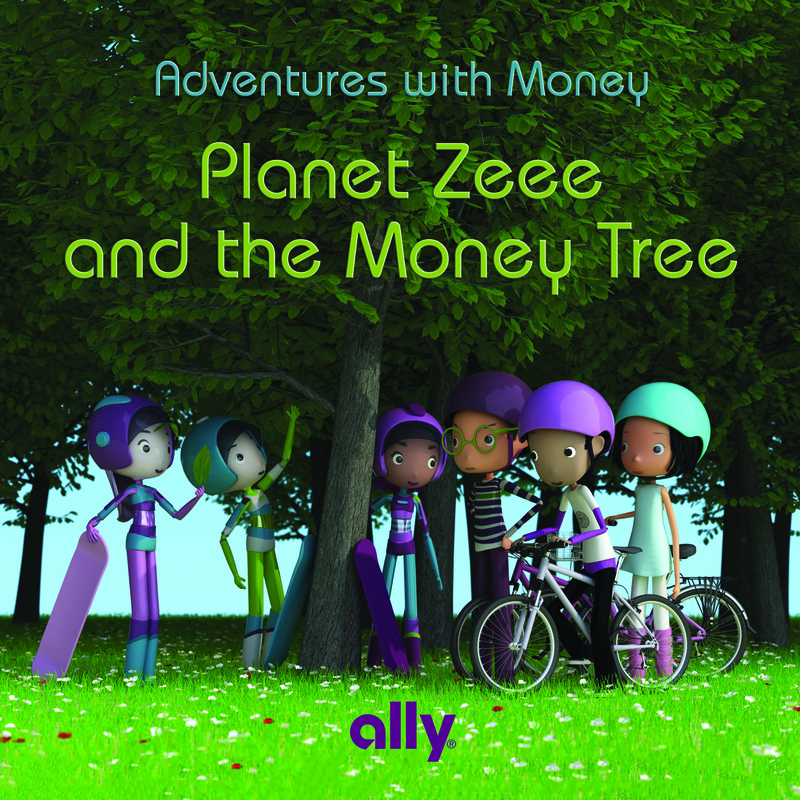 The “Planet Zeee and the Money Tree” digital book is available at www.allywalletwise.com and on Ally’s social channels on Facebook and Twitter (@AllyFinancial). Survey Methodology: This survey was conducted online within the United States by Harris Poll on behalf of Ally from March 20-22, 2017 among 2,237 U.S. adults ages 18 and older, among whom 627 are parents of children under 18. This online survey is not based on a probability sample and therefore no estimate of theoretical sampling error can be calculated. Ally Financial Inc. (NYSE: ALLY) is a leading digital financial services company and a top 25 U.S. financial holding company offering financial products for consumers, businesses, automotive dealers and corporate clients. Ally's legacy dates back to 1919, and the company was redesigned in 2009 with a distinctive brand, innovative approach and relentless focus on its customers. Ally has an award-winning online bank (Ally Bank Member FDIC and Equal Housing Lender) which offers deposit, mortgage and credit card products, one of the largest full service auto finance operations in the country, a complementary auto-focused insurance business, a growing digital wealth management and online brokerage platform, and a trusted corporate finance business offering capital for equity sponsors and middle-market companies. The company had approximately $163.7 billion in assets as of Dec. 31, 2016. For more information, visit the Ally press room at http://media.ally.com or follow Ally on Twitter: @AllyFinancial.